Two men fight in an old glass factory. One (Patrick Kavanagh) gains the upper hand and knocks the other down but is shot in the jaw with a dart as he escapes into a cobbled mews. He hails a passing cab but when the cabbie (Leon Lissek) asks him where he wants to go he can't remember where, or even who he is. Steed is mixing elaborate cocktails while Mrs Peel does the morning crossword when she spots the man wander into the street below. 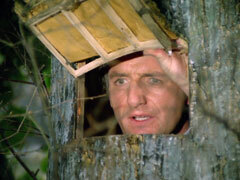 Steed recognises him as Sean Mortimer, a fellow agent, and brings him inside. Meanwhile, his attacker, Carl (Alan Lake) arrives outside on a motorbike with sidecar with Brad (Douglas Sheldon). 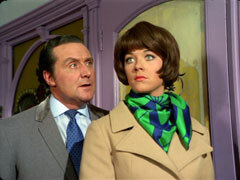 Steed introduces Sean to Mrs Peel, but is astonished when Sean asks him who he is. Steed tells Emma he's been missing for two weeks, and Sean remembers walking a long way and something to do with a traitor inside the organisation. alarmed, Steed departs to visit 'Mother' while Emma continues to coax details out of Sean. Steed arrives at a manor house and is let into the grounds by Giles (Edward Higgins), who tells him Mother hasn't been out all week. As he crosses the lawn, a young woman in army fatigues attacks him. Her trainer, hiding inside a tree, shouts at 'Agent 69' to stop, indicating her intended target is a young recruit hiding in the bushes. '69' is astonished to discover she has attacked the legendary John Steed when her trainer, Burton (Jeremy Young), apologises to him. Steed arrives at the house where Jenkins (Tony Thawnton) asks him to wait until Mother is free. Mortimer meanwhile remembers a large building full of cobwebs and glass; Emma tries word association to jog his memory and 'attack' yields the word 'motorbike'. Outside, Carl talks to his controller on the radio and is informed that Steed has arrived to see Mother, so they should move in and recapture Mortimer before the amnesia drug wears off, warning them to "make sure [Mrs Peel] doesn't have any happy memories". Emma tries to fight them off when they enter but she and Sean are both drugged and he's carted off in the sidecar. Steed's still waiting to see Mother when the agent who attacked him appears from behind the curtains and introduces herself as Tara King - she seems surprised when he doesn't say ""Ra boom di ay!" after hearing her first name, "Everyone does! ", she complains; she tells Steed his name crops up every day in training and gives him her address and phone number, knowing his weakness for women, but insists he hide it in his boot rather than put it in his wallet. Simon Filson (Jeremy Burnham) arrives and ushers Steed in to see Mother (Patrick Newell), a stout man in a wheelchair. Steed announces that Mortimer has turned up at his flat, at which Filson interjects that Mortimer's on the suspect list - "if an agent goes missing we must presume he's defected". Steed tells them Sean's suffering from amnesia and is probably drugged and brainwashed, but he did remember that there's "a traitor in the organisation". Mothers order Steed to bring him and organises to have medical staff standing by. 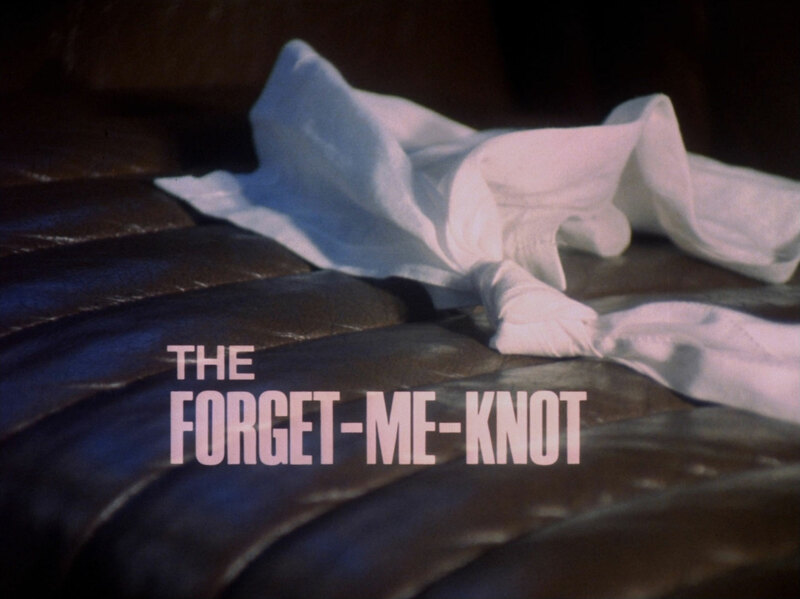 Emma wakes up and is putting Sean's gloves away when Steed returns, only to discover that Emma can't remember Mortimer. He calls Mother and informs him, and arranges to bring Mrs Peel in instead. Filson exits to arrange it and runs into Burton, who asks him what's going on - he seems stunned to learn that Mrs Peel is being brought to the house. Steed puts Emma's coat on, telling her they're going to a party thrown by 'Professor Mater'; she seems dubious so he asks, "What's that -pology you're interested in?" "Anthro- ?" "That's it, an anthropologist, he's one of the best!" - and they set off. Carl and Brad have been ordered to intercept them and block the road with a tree. When Steed stops to clear the road they're attacked and shot with the drugged darts. Brad sets off to the glass factory with Mrs Peel while Carl ensures Steed's amnesia by removing his identification and pumping several extra full-strength darts into him, leaving him at the roadside. Emma wakes at the factory next to Mortimer but neither of them can remember a thing. mother meanwhile is worried by Steed's non-appearance and reacts angrily when Filson reminds him that no contact for nine hours puts an agent on the suspect list. Filson relishes telling Burton and Tara that Steed is suspect - "Even the biggest idols can have feet of clay". Steed wakes shakily and flags down a passing car before collapsing back into the leaves. At the factory, Emma recalls the name "Steed" and they decide that must be her name. 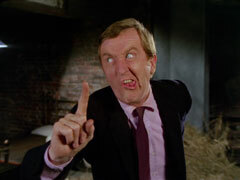 Mortimer then recalls the name "Peel" and thinks that must be him, but they decide neither of them could be "Mother". "I honestly don't think that can be either of us", says Mrs Peel. Steed is taken to Worpleton Cottage Hospital where he hallucinates Nurse Sally (Beth Owen) becoming Mrs Peel in a number of flash-back. Dr Soames (John Lee) enters and is critical of Steed, taking him for a meandering drunkard despite the nurse's protestations. He orders her to prepare a sedative and leaves. 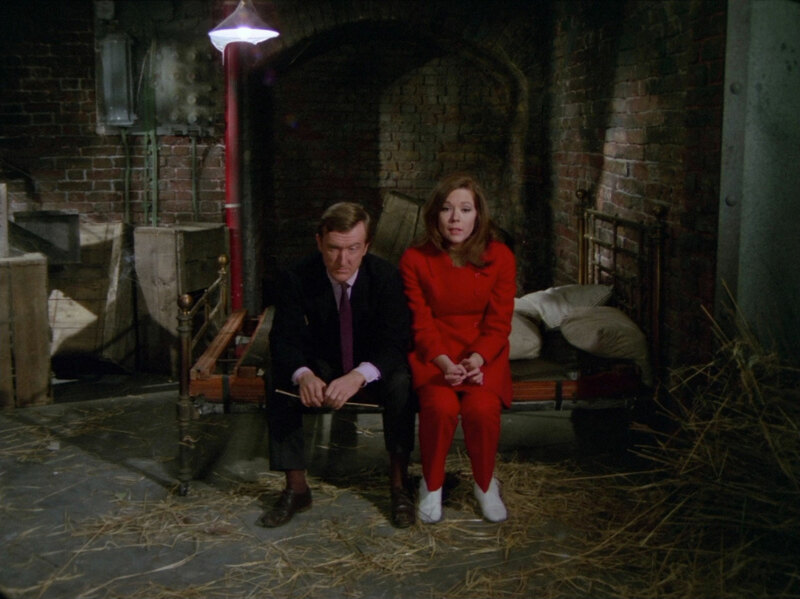 Emma and Sean try to break out of their prison but can't budge the door, causing Mortimer to observe, "It's no good, Mrs Peel"; but they can't decide who he is. Steed is hazily remembering the ambush and Mrs Peel, so he escapes the hospital, knocking down Dr Soames when he tries to stop him. He finds Tara's address in his boot and arrives there just before Filson drops Tara home. Filson warns her of Steed's attack on the doctor which has just been reported. When she enters her apartment she's apprehended by Steed who asks her if she's Tara King. She blinks at him and tells him he's on the wanted list. "I knew it! ", he cries, thinking that he must be an infamous burglar considering the ease with which he broke in. She patiently explains that he's a spy, and the organisation thinks he's defected, and she tells him his name. At the Glass House, Emma hides by the door while she makes Sean pull a fact and contort himself. When Brad enters, he's so confused by Mortimer's appearance that he's easily overpowered by Mrs Peel and his dart gun taken. Meanwhile, Filson recovers and, holding Tara at gunpoint, calls Mother to confirm that Steed is the traitor. Tara is infuriated and cries, "No, you fool! It's Burton!" "Burton? ", he murmurs; "Burton's the traitor! ", she shouts, grabbing Filson's revolver, then runs from the room, tossing his revolver back to him scornfully. At the Glass House, Emma and Sean decorate Brad with straw and cobwebs and stick his thumb in his mouth, hoping to repeat their earlier success, while Steed and Burton near the factory with Tara in hot pursuit. Steed comments on how faultless Burton's direction were for getting there - especially as the organisation had stopped using The Glass House before he joined them. He casually asks Burton when he defected and Burton pulls a gun on him. At about the same time, Carl enters the warehouse and is attacked when he's distracted by Brad's unusual appearance. 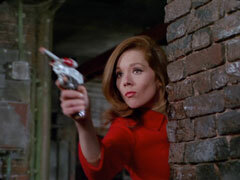 They fight, and Mrs Peel accidentally shoots Mortimer with a dart in the melee, but she manages to defeat Carl while Burton and Steed are fighting outside. Tara arrives in time to stop Brad from escaping by hitting him with her handbag - in which she's carrying a brick. Emma shoot Burton with a dart when he runs for the car and he stops dead. "I think he forgot to [get away]", Emma tells Steed, "And speaking of forgetting, just to remind me, are you the man who ---? ", she whispers in his ear. "I'm afraid so", Steed grins. 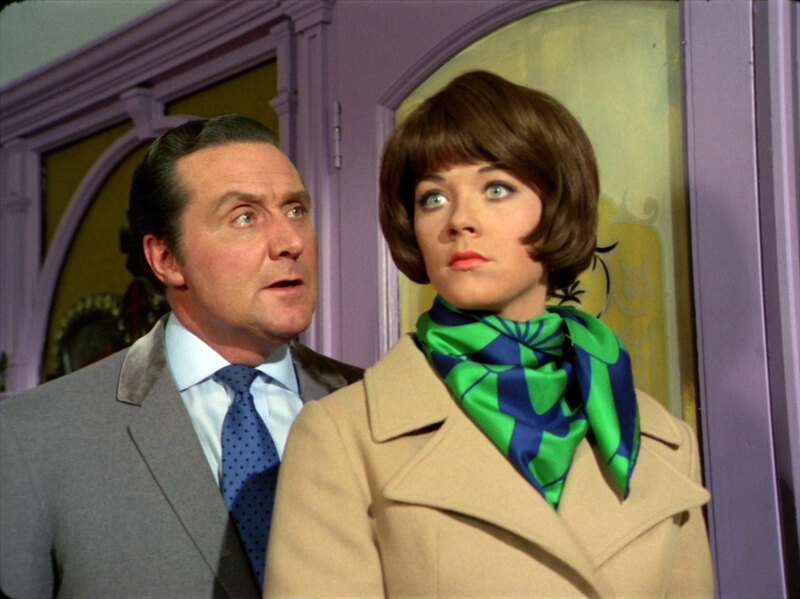 Mortimer comes up and proudly identifies Mrs Peel and she meanly says, "And who are you? ", baffling him.